Do not be fooled by the slow, quiet vegetable patch – Jasim Al-Rawi’s life has been anything but. “It’s a life of adventure and I haven’t told you any of the details,” he says, after two hours of talking about the past. We asked senior Pharmacy and Applied Science lecturer Jasim to be photographed among his beloved vegetables, because that’s where his love of science and learning started, hiding among the tall corn on his family’s farm. “My father would call out ‘where are you? Your study is not going to feed us’,” he says. Jasim was 12 years old, juggling school with helping on the farm in a village near Mosul in northern Iraq. They grew eggplant, capsicum, zucchini and okra; a Nigerian spice with a tart, lemony taste. A promising student, he was later accepted into a school and hostel in Mosul to complete the final two years of high school. He excelled in the labs and qualified to study medicine, however most of the medicine lab classes took place at night and Jasim suffered night blindness, so he pursued science instead and studied in Bagdad to become a chemistry, physics and biology teacher. Jasim’s quest for knowledge would later also spare his life from war and conflict. It would propel him and his family across most of the world’s continents, inspire his wife and five children to likewise excel and eventually lead him to Bendigo. 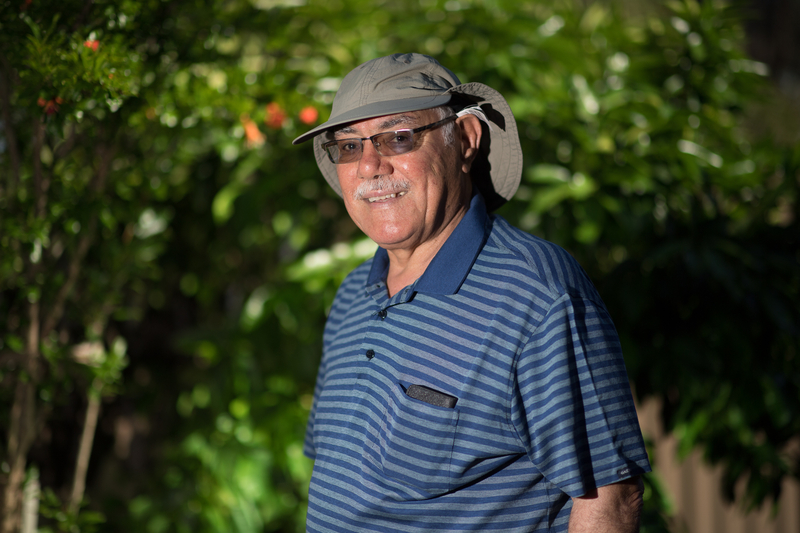 Jasim and his family arrived in Australia as resettlement refugees in 1999, fleeing the latest conflict in the Middle East. Not that they were strangers to that. On many occasions his expertise in chemistry would afford him an escape to work at universities in Europe on research grants and teaching contracts. It wasn’t always an easy journey to reach these destinations. Jasim remembers once being at the Bagdad airport, bound for Canada, via the UK, where he would complete a three-month research project. But he also planned to take longer refuge there with his family. “I got a friend from Kuwait to post my letters to organise the trip. I even had to take a non-Iraqi airline so I couldn’t be captured trying to leave the country on the airline,” he says. Jasim had his most precious possessions with him – beside his family, he also took his collection of crystals and rocks. “I was stopped by an immigration officer. He said ‘Jasim, you’re not going for three months, you’re running away’. In a twist of fate that particular officer and he shared a special bond. As children they had the same wet nurse and as such were culturally considered brothers. That officer turned a blind eye and let the Al-Rawi’s board the plane. From the 1970s through to the mid-1990s Jasim’s academic life continued to thrive, despite constant upheaval and employment uncertainty. He made headway as a leading academic in his field and made scientist friends across the globe. When in 1995 the political situation in his home country was deemed too dangerous for his family, he called on one of those old contacts, who was now the Pro Vice-Chancellor of Charles Sturt University. The VC vouched for Jasim as a hard-working, decent man in support of his refugee application. It took four years to be approved and on July 24, 1999, Jasim and his family arrived in Sydney, just in time for the next year’s Olympic Games. Jasim took a job at the games as a carpark attendant, and also enrolled in TAFE to study a diploma of retail management, which led to weekend work as a stock taker. Eventually his academic qualification was recognised to allow him to teach science. In 2001 Jasim came to the Bendigo Campus to lecture in chemistry and supervise PhD students. He quickly sourced a second-hand yet highly sought-after piece of equipment for the lab; a nuclear magnetic resonance machine, which allows him to synthesis new chemicals. If you’re interested in the science, Google it. Some of those chemicals are being used by one of Jasim’s daughters, Sara, as part of her biology PhD to find an inhibitor for the growth and movement of cancer cells. “These are the things that keep me going,” says Jasim, who at 73 is still working full time. And the over 100 papers and four text books he has written in Arabic are still working too – they’re regularly used in the Arab world. When he’s not in the science labs, Jasim can usually be found at home, here in this garden. 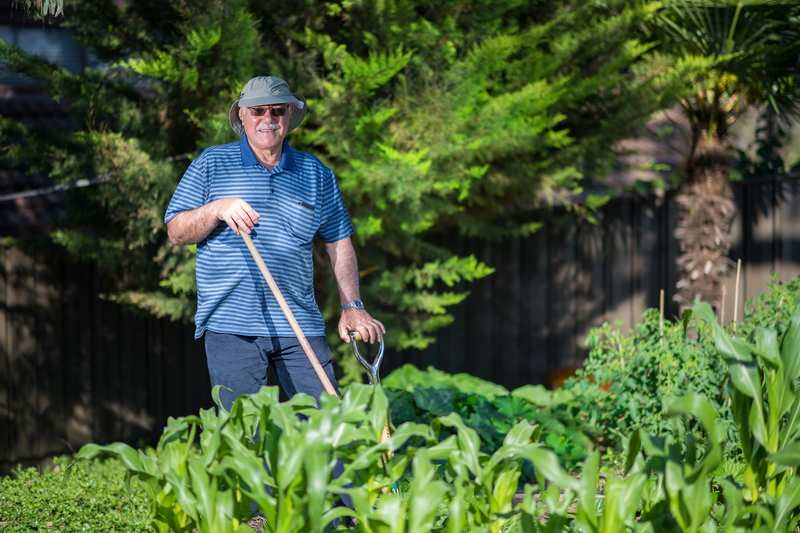 “I could live off my vegetable patch,” he says. “It’s 60 square metres and in summer I grow tomatoes, eggplant, corn, capsicum, zucchini and beans, olives, lemons, grapefruit and orange, plus grape leaves for dolmardes.